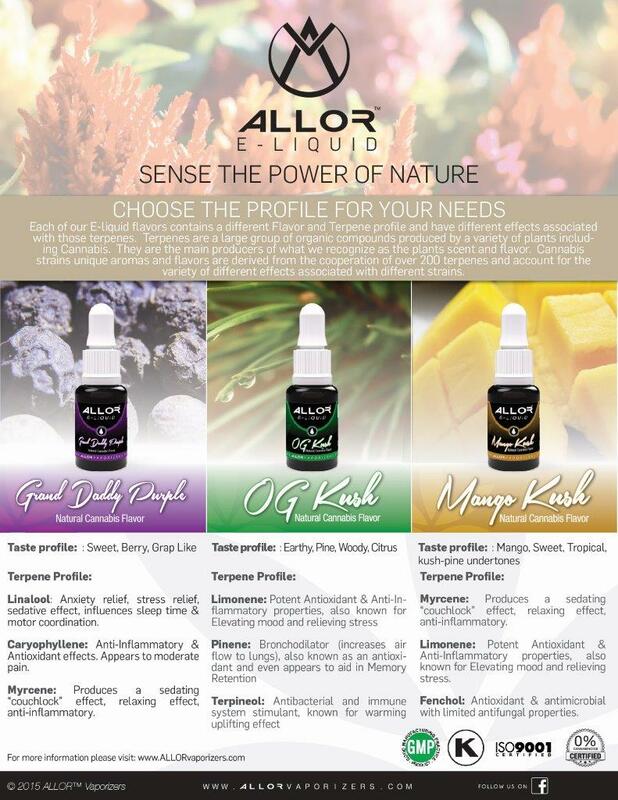 ALLOR E-Liquids are formulated using Terpenes which a large group of organic compounds produced by a variety of plants. 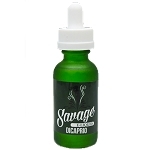 They are the main producers of the plants scent & flavor and are also known to have pharmacological effects. 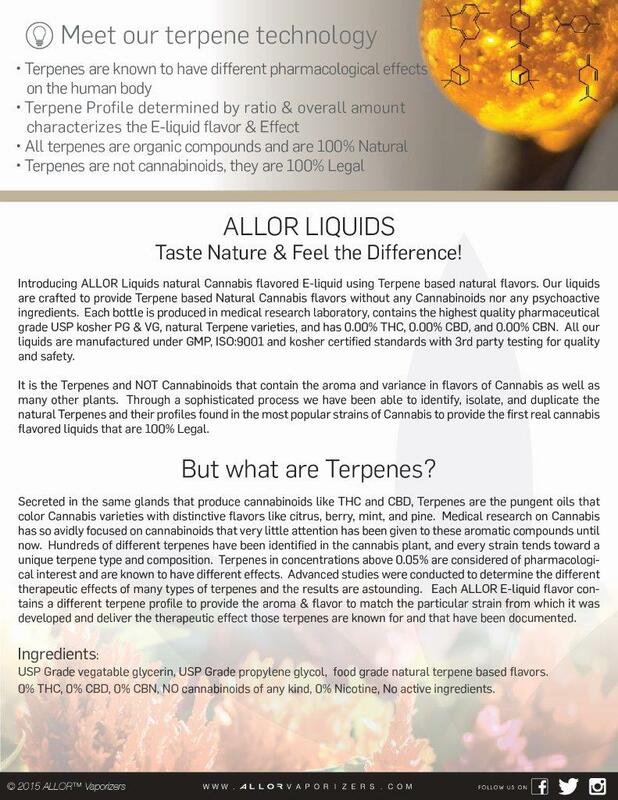 By analyzing and recreating the Terpene profile of different strains of Cannabis using organic legal sources, ALLOR has created a unique liquid that contains the same flavor profile and Terpenes without containing any Canabiniods and without any psychoactive ingredients. 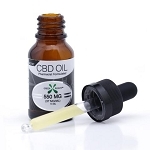 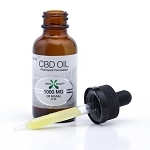 These liquids contain 0.0% THC, 0.0% CBD, and 0.0% CBN, No cannabinoids whatsoever and do not contain actual Cannabis.